The 23-year-old was out of contract at the end of the season and has been allowed to depart Barcelona as he goes in search of regular playing time. Munir scored 12 goals in 56 appearances for Barcelona since breaking through in 2014 under Luis Enrique, spending the previous two seasons on loan at Valencia and Alaves. 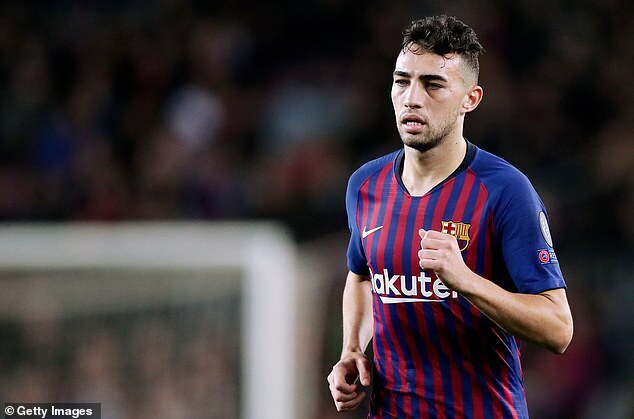 This season Munir found his playing time at Barcelona limited as he featured just seven times for the club in La Liga. Sevilla also announced an agreement with Ajax to sign 20-year-old Austria defender Max Wober. Currently third in La Liga, seven points behind leaders Barcelona, Sevilla are in action on Sunday when they face Athletic Bilbao away.